Challenge Detroit – The Detroit Riot, LLC – How Did We Get Here? 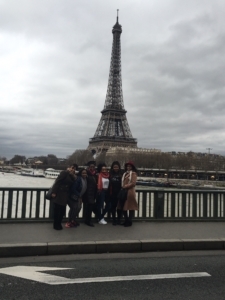 In February of this year, I was blessed enough to travel to Paris, France with a group of some of my best friends. While in Paris, we toured the city, ate great food, indulged in the Parisian culture and shopped (a lot). During our time there, we spent a great deal of our time visiting various thrift stores throughout the city. Because Paris has been coined the “Fashion Capital of the World”, there was a huge variety of resale and thrift stores, full of all kinds of cool, unique, vintage clothing and fashion accessories. My friends and I were able to grab some great, one-of-a-kind pieces during our trip; but little did I know, we would leave Paris with more than great thrifted pieces and memories. Shortly after the trip, my good friend Iesha approached me with an idea that I could not turn down. She reminisced about the thrifting scene in Paris and how she really enjoyed her experience in Paris. The two of us spoke about how resale markets in other major cities, like Chicago and D.C., were comparable and very similar to Paris and we wondered why Detroit was missing out on such a great opportunity. Iesha then asked me “Why don’t we start our own?” I considered her idea and thought about the prospect of starting a business in Detroit. At that moment we began to develop our vision for the Detroit Riot. In between work, graduate school, and other obligations, Iesha and I slowly began to schedule thrifting days to build our own inventory and work our business plan. As time went on we asked our close family and friends to consider donating their unwanted, gently used clothing to our cause. We also started taking the necessary steps to form a business and by July 2016, we were ready to present our project to the community. 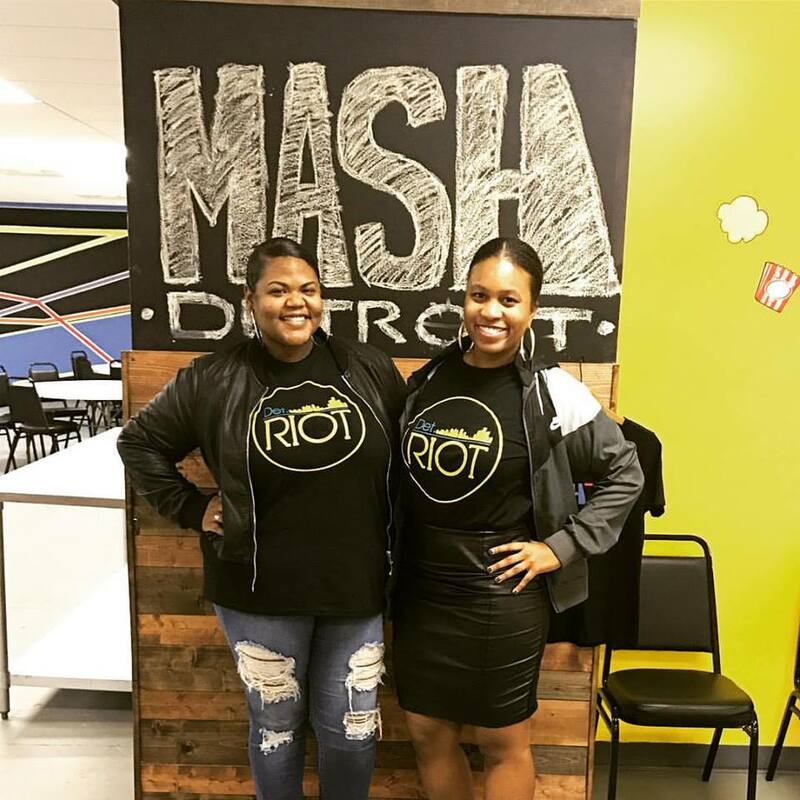 The name and meaning of the Detroit Riot stems from Iesha and I’s desire to make positive changes in the city of Detroit. Typically, a riot occurs when a group of people are tired of something. To us, The Detroit Riot represents a movement of young people who are tired of the negative narrative associated with being a Detroiter and thrifting in general. Recently, The Detroit Riot, LLC has been introduced to the community in the form of “Pop Up” shops. The goals of the pop up shops are to build our brand, familiarize the community with thrifting and our products, and build our overall network. At the pop up shops, we have worked with other small businesses throughout Detroit. We will continue to collaborate with other people and companies throughout the city because we truly believe that change and favor comes from building relationships and a solid, reputable network. As we move into the new year, Iesha and I are already planning some great things for the brand. These last few months we have learned so much and we are looking forward to see where and how the Detroit Riot will grow. We are already planning to host more pop up shops, expand our products and learn as much as we can about owning a thrift store. In the future, we hope to obtain a brick and mortar location where people can come thrift and find a sense of community. Who knew a simple trip to Paris would spark such a great idea? Follow the Detroit Riot, LLC!